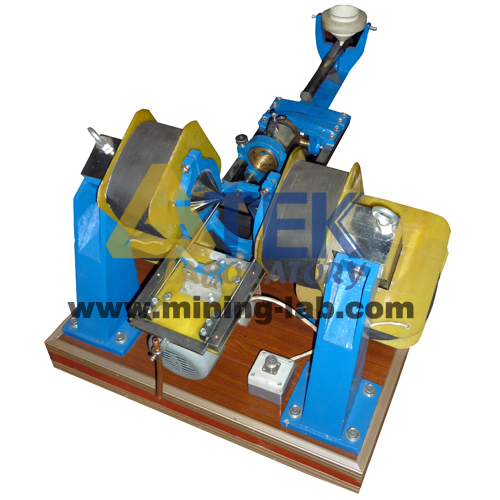 Davis magnetic tube or Davis magnetic tester is a laboratory machine designed to separate a small sample of pulverized magnetic iron ore into magnetic and non-magnetic fractions. Davis separation tube is positioned between poles of a powerful electromagnet at an angle of 45° (adjustable) that is agitated back and forth and rotated by a motorized system. Magnetic particles are collected inside the tube in the zone of intense magnetism and all non-magnetic minerals are washed out. XCGS Davis magnetic tube or Davis magnetic tester can be used in laboratories of mine, metallurgy and geology.